Put simply, American Fork Canyon is a sport climber’s dream. 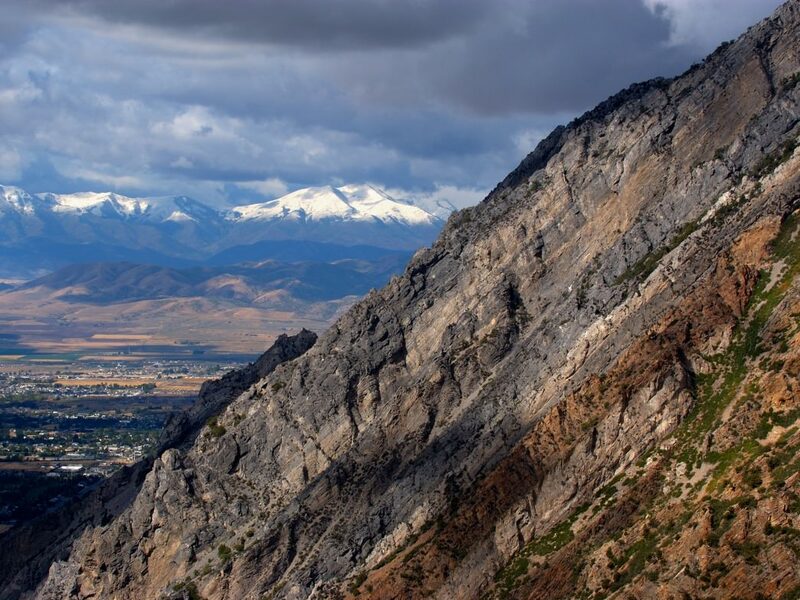 Besides all of the camping and backpacking you can find here, this canyon houses some of the best limestone slabs around—the only downside is you can’t buy any beers in American Fork on your way to the crag, so stock up in SLC. 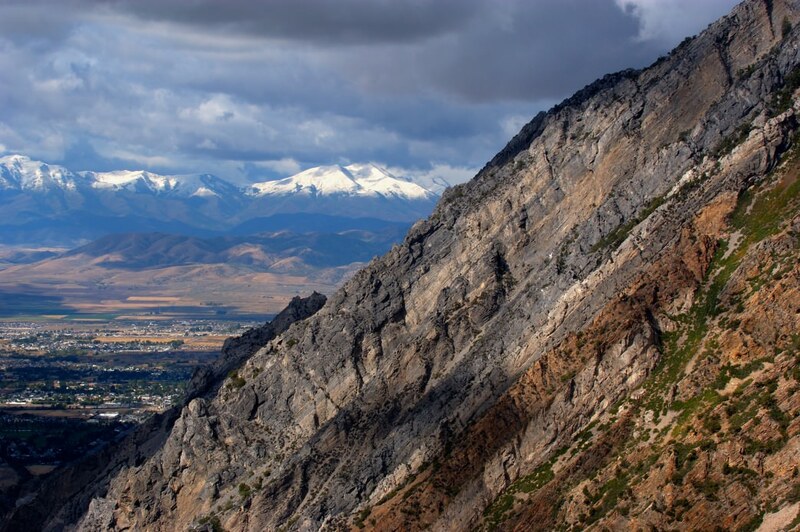 The canyon’s proximity to Salt Lake makes it excellent for a long afternoon session—it’s only an hour-long drive from the Salt Palace Convention Center. We recommend stopping by IME Utah if you need any gear, route suggestions, or local beta before you leave Salt Lake City. American Fork will be cooler than downtown SLC, so it won’t hurt to bring a light jacket. Crags and routes line both sides of the canyon and are easily accessible from the car pull-offs. While there’s a little bouldering available and some top roping, you’ll find mostly sport routes with the majority of them graded between 5.9 and 5.13. Don’t worry, beginners and intermediate sport climbers will be able to find routes that they’re comfortable with, too—there’s tons to choose from. Warm up on the 5.7 Rockapella route—a perfect first lead for any of your virgin friends. It’s fun, slabby limestone with a mini roof that makes it an ideal place for a newbie to learn while everyone has some fun. After that, you can step it up to the nearby 5.8 Stoic Calculus—tricky for new people to learn to lead on, but doable. Both are in the Hard Rock area . There are two 5.10a climbs on Hard Rock to turn up the difficulty level—Platinum Blonde and Winds of Fire. Winds of Fire is generally considered a bit harder than 5.10a, with some locals even considering it a 5.10d, so be warned. It’s long for a single-pitch short route, and it starts off with a mentally and physically challenging roof—likely the technical crux of the route. Platinum Blonde, the other 5.10a on Hard Rock, is filled with overhangs, jugs, and pockets the whole way up. Look for the crux between the third and the fourth bolt, and expect smooth-sailing after that. At least a 60-meter rope is recommended for both of these routes and it’s a good idea to tie a knot in the end of the rope—always good to have a savvy belayer, too. Type “American Fork Canyon” into Google Maps and it’ll lead you to the holy land. Once you get on the main canyon road, State Route 92, it winds its way east through the canyon (once there, it’s called the Alpine Loop Scenic Byway) and up to the peak of the loop. 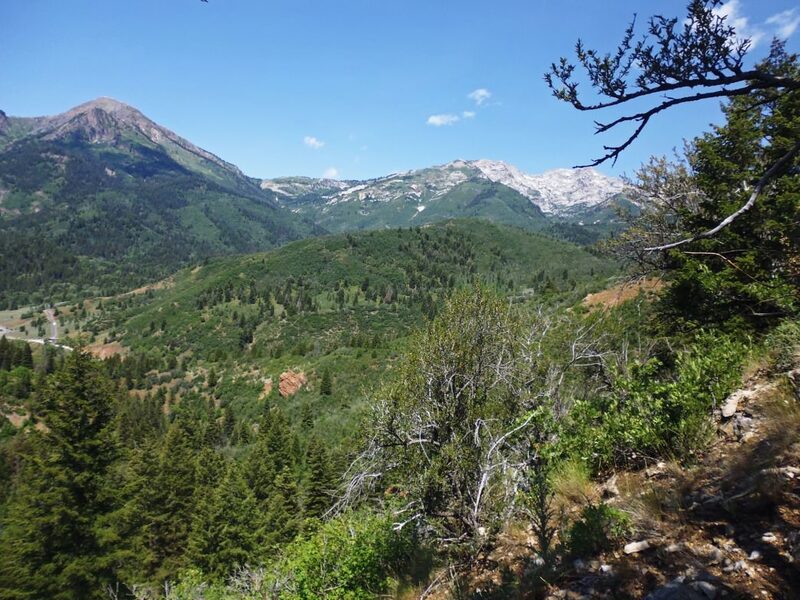 If you want to add a scenic drive after your session, you can drive down the east side of Mount Timpanogos (the second highest mountain in the Wasatch Range), and out into Provo Canyon. Visitors staying on the road won’t be charged a fee, but if you’re there to climb, it’s $6 for a three-day pass. The park accepts America the Beautiful passes, too.